Did you know transgender people in Finland must be diagnosed with a 'mental disorder' and sterilised before being permitted to legally change their gender identity? Sakris, a 21 year old medical student in Finland is bravely fighting to change this. Sakris Kupila has never identified as a female. As a teenager he was first told he'd need to be sterilised to change his name and legal identity. As an adult, Sakris is bravely defending the rights of transgender people. Despite facing harassment and threats of violent beatings, Sakris won't stop fighting until this cruel and humiliating law is removed. Will you stand with Sakris? Sign this petition, urging the Finnish Government to put a stop to this law for good. 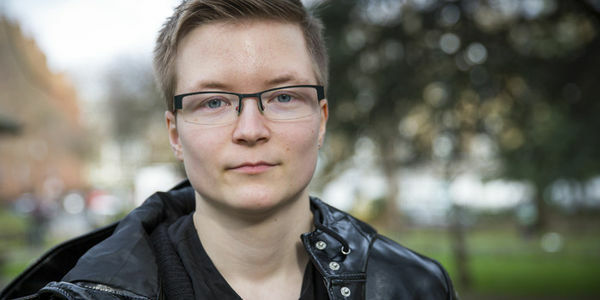 I call on you to change the law in Finland so that Sakris Kupila and all transgender people can obtain legal gender recognition without having to be diagnosed with a “mental disorder” and sterilised. The defence of transgender rights must be enabled in a safe environment. It is time that the Finnish government develops a gender recognition procedure that is quick, transparent, based on self-determination, and available irrespective of age, medical or financial status.